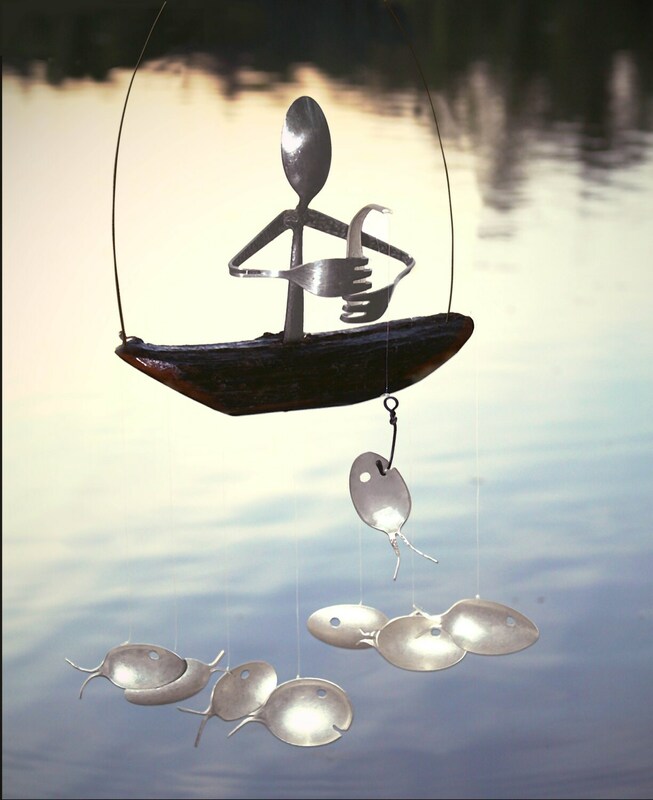 Spoon Man Driftwood boat and Spoon Fish Wind Chime. 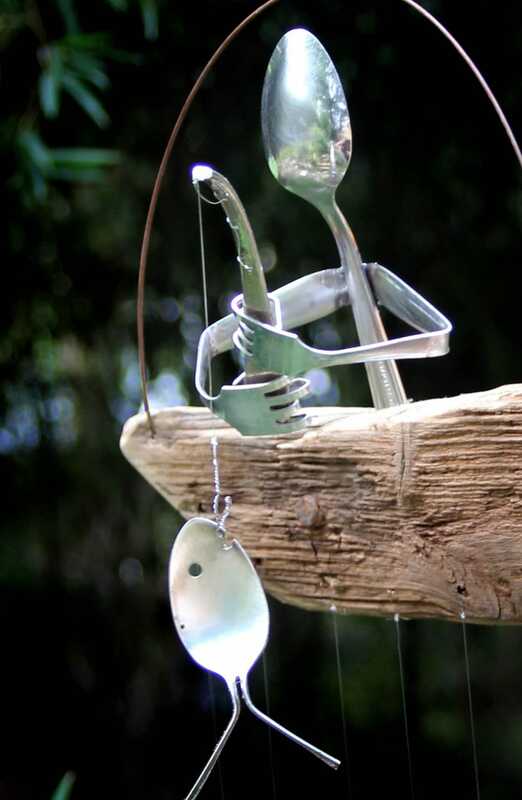 Delightful wind chimes are recycled from antique and vintage silver plated utensils dating back as early as the 1800's. 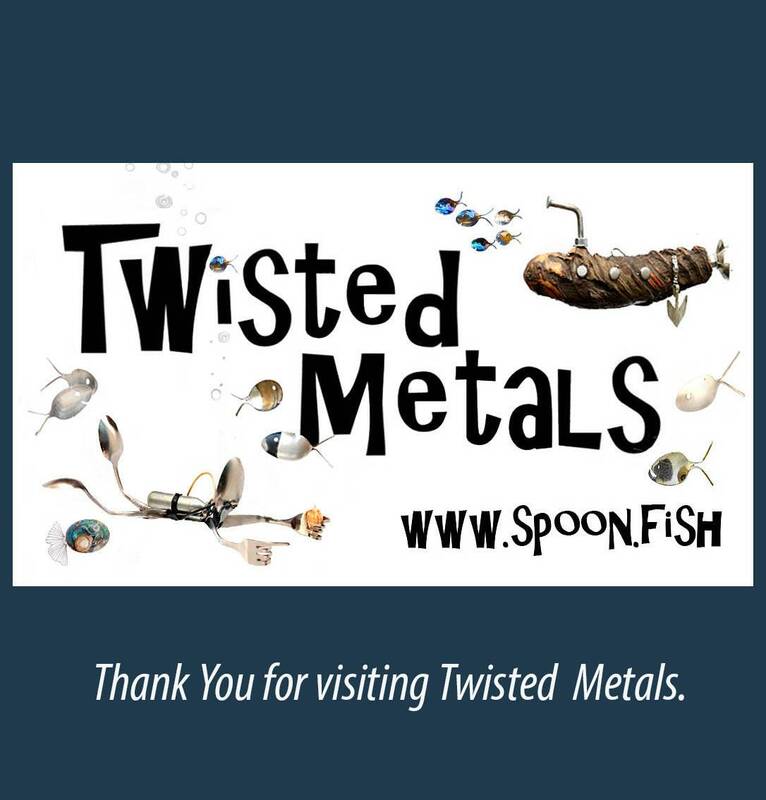 Sit back, relax and listen to the gentle sounds as they whisper songs of centuries past. Each set is unique, yet just as charming as the ones pictures above. 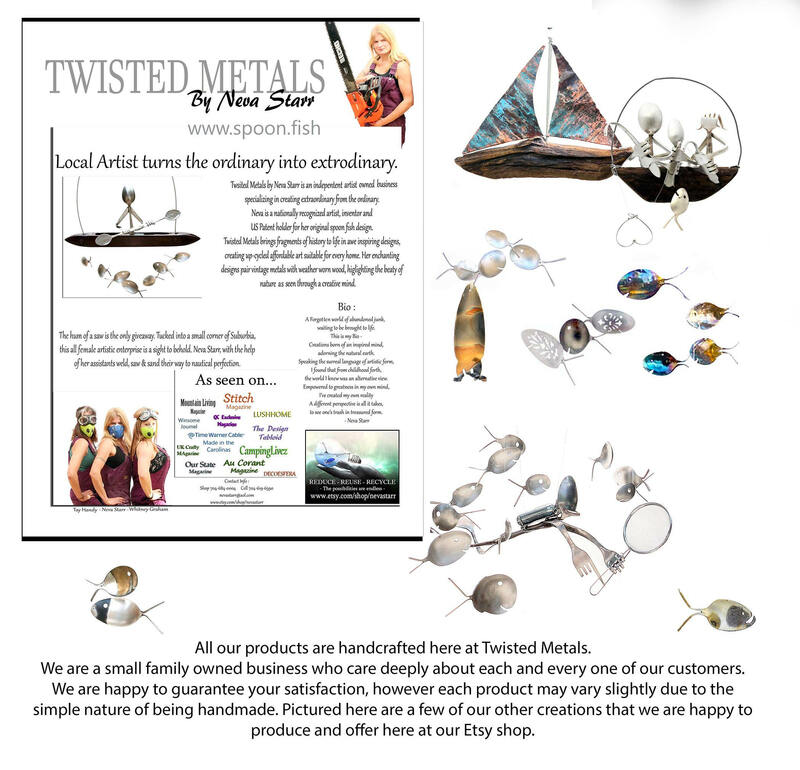 Each boat, man & fish is handcrafted with care. 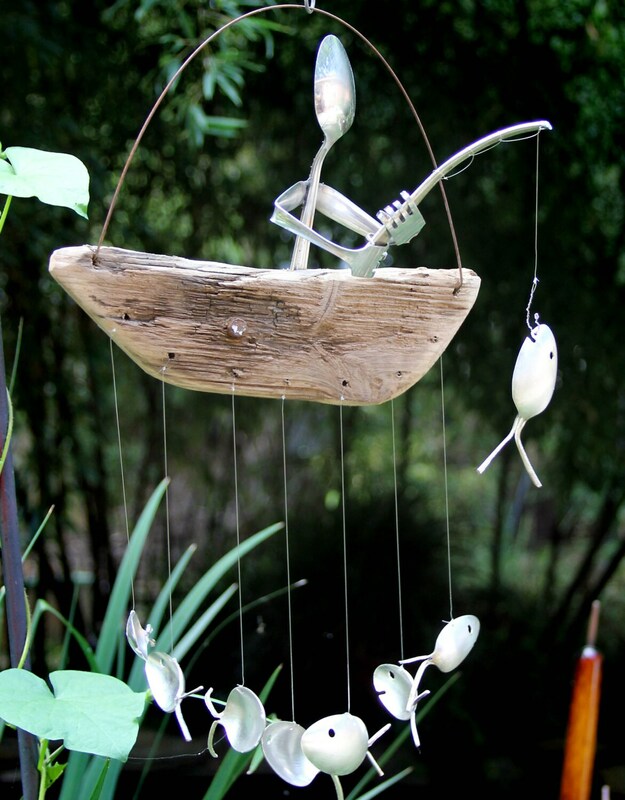 Natural driftwood comes from the depths of North Carolina Lakes & rivers. 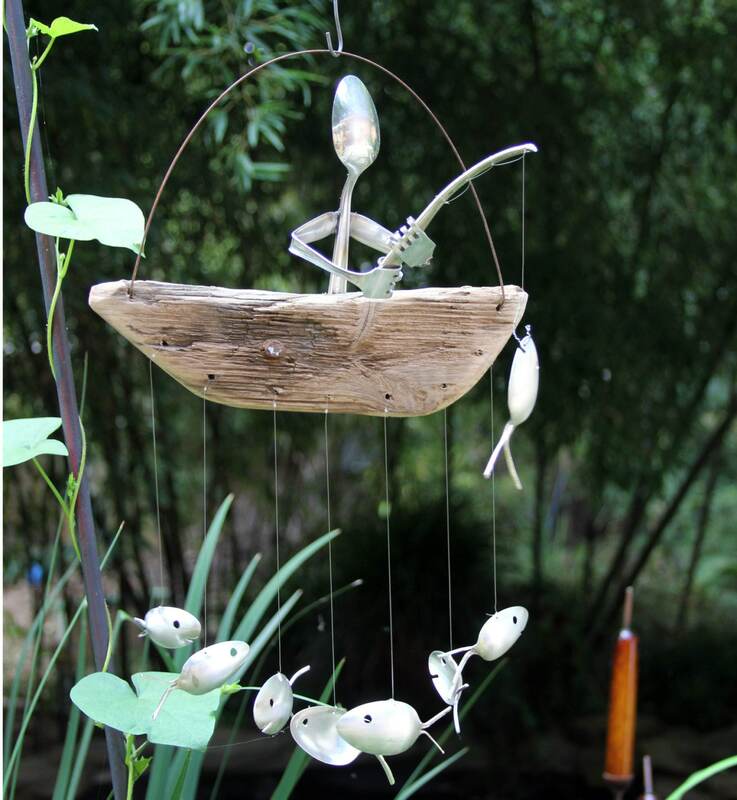 Perfect holiday gift for the outdoors person-Home of the original spoon fish wind chimes! 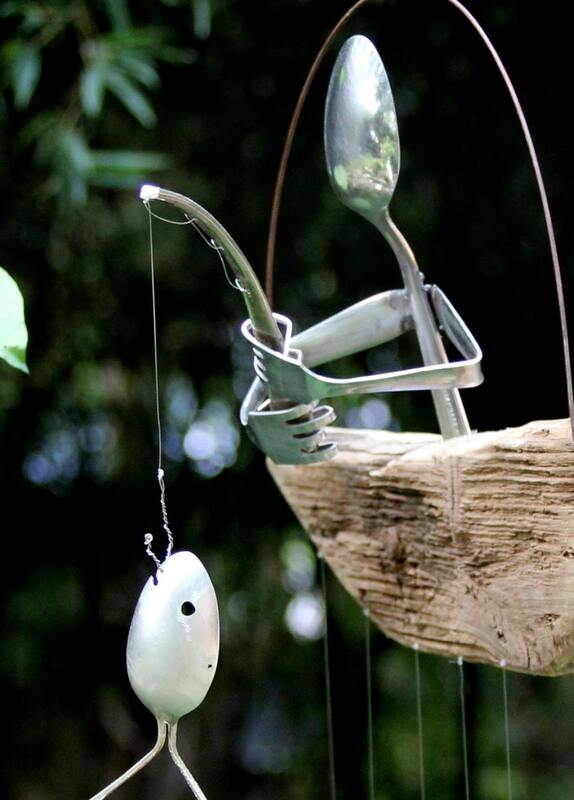 Delightful charming spoon man fishing atop a natural driftwood dingy. 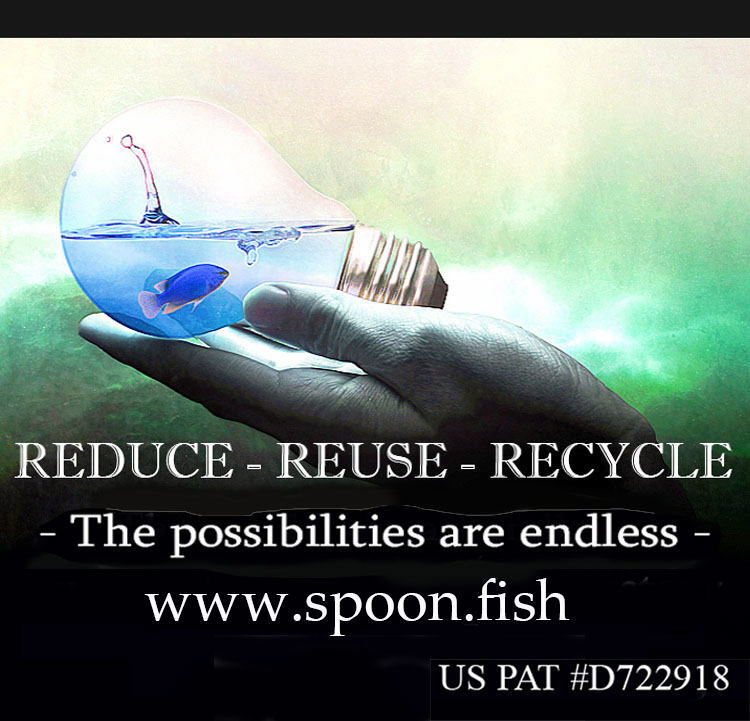 Hanging beneath a school of 7 spoon fish playfully swims in the breeze.